Enfield, CT – With a roar of approval and excitement the Enfield Republican Town Committee unanimously nominated Former Chief of Police, Carl Sferrazza to fill a vacancy on the Enfield Town Council at their monthly meeting on January 10th. Mayor Mike Ludwick introduced Carl to the members as the person to fill the vacancy and explained that Carl was one of a group of strong individuals who showed interest in this seat. “Carl shared his reasons to continue to be part of the community that he loves, by applying for this position. I know he will be a great addition to the council and our caucus and bring a wealth of knowledge and understanding of the town of Enfield to this seat. We are thrilled to have him join us at the dias,” said Mayor Ludwick. “When this opportunity became available I am proud to say the Enfield Republicans have a deep bench of talented people who are more than willing to share their time with the town. Carl took a little time off before he considered joining our committee, and we can’t express how very please we are to have Carl willing to continue to serve Enfield in this new capacity and be part of our team,” said Chairman Mary Ann Turner. Carl retired as Enfield Police Chief on March 1, 2018 and has been busy with his family, working at the Mohegan Sun and as President of the Mt. Carmel Society. Carl is not one to sit idle. 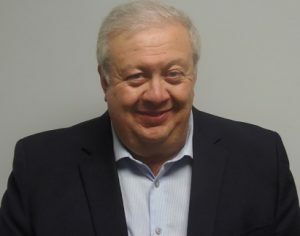 He continues to be an Adjunct Professor of Criminal Justice at Asnuntuck Community College and is a member of the Connecticut General Assembly School Security Work Group, which Rep. Carol Hall appointed him to in 2017. “I am humbled by the trust and enthusiasm the Enfield Republicans have shown to me and I look forward to working with a great group of people who believe in Enfield as much as I do. I look forward to learning how the council works from the other side of the table because for many years I presented to the council, now I get to round out that experience from the other side,” said Sferrazza.